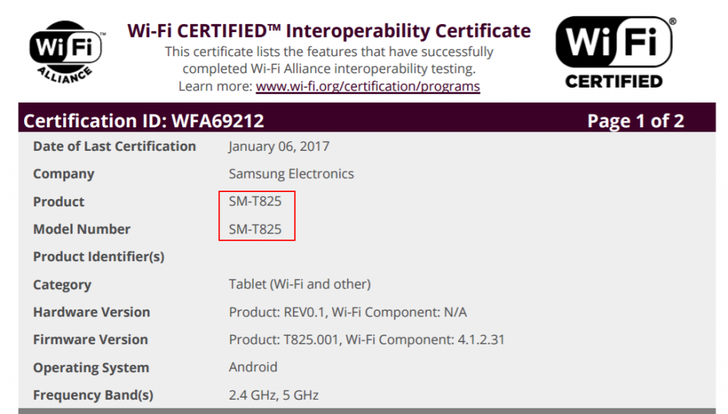 The Samsung Galaxy Tab S3 has received Wi-Fi certification from the WiFi Alliance (WFA). The listing reveals that the LTE variant of the device, carrying a model number of SM-T825, has been certified. Last we heard about the tablet was in November last year when it was spotted on Zauba, a website that tracks India's import and export. There were rumors earlier in 2016 that the 9.7-inch device will be officially unveiled in September (Samsung even effectively confirmed the launch time-frame), but that, as we all know, didn't happen. The tablet is now said to be launching sometime in Q1 this year. The economic situation keeps worsening for many. people are just not willing to pay high prices for overpriced devices. Android has been affected by overpricing too, but at least there are options. Im writing this on the n8010 note 10.1. Sadly i didnt get anything above kitkat.